Spacious interior for backing, roasting, toasting rolls, bread, pizza, sausage, Cookies and even defrosting frozen foods. Convenient heat operating switch for variable heating position with 60 minutes automatic timer to turned off. 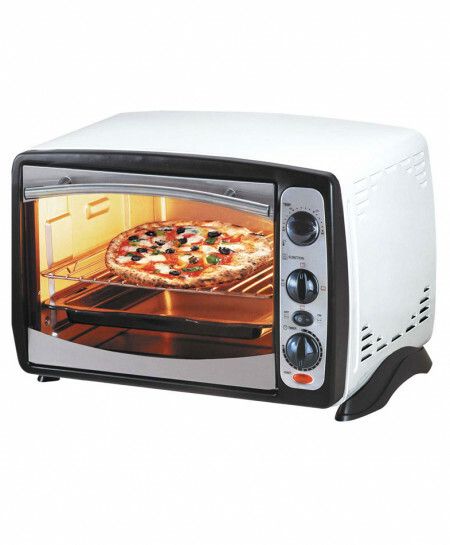 Elegant design high power deluxe oven with adjustable thermostat control from 100C to 250C with power on light indicator.